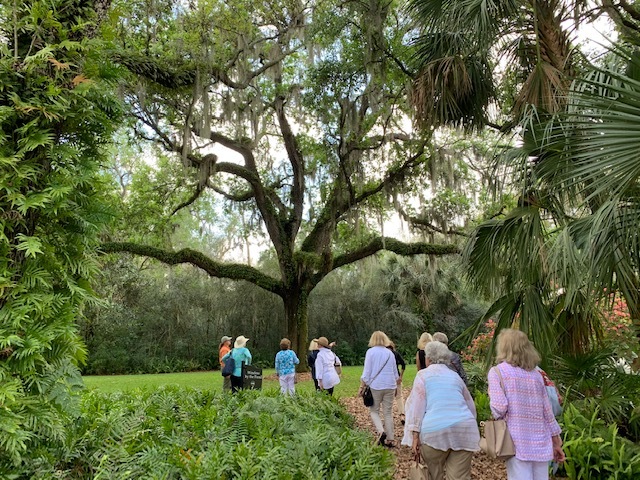 The John’s Island Garden Club took a field trip to BOK Tower Gardens in Lake Whales, Florida. SLGC members Mary Susan Lyon and Sandy Holmes are both members and I was lucky enough to be invited. The gardens were established in 1929 by Edward W. Bok as a gift to the to the American people. 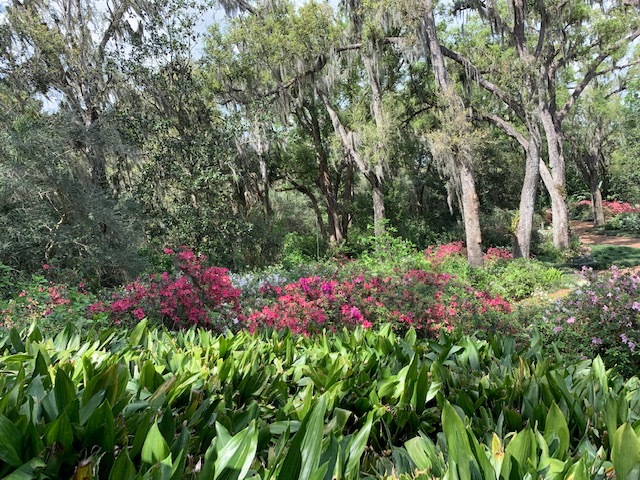 The 50-acre garden was designed by landscape architect Frederick Law Olmsted, Jr., to be a contemplative and informal woodland setting. It is a National Historic Landmark. 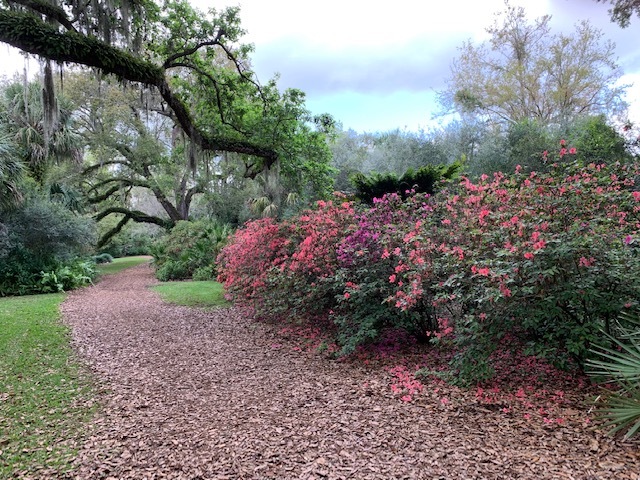 Acres of ferns, palms, oaks and pines provide a backdrop of flowering foliage for the spectacular seasonal azaleas, camellias and magnolias. 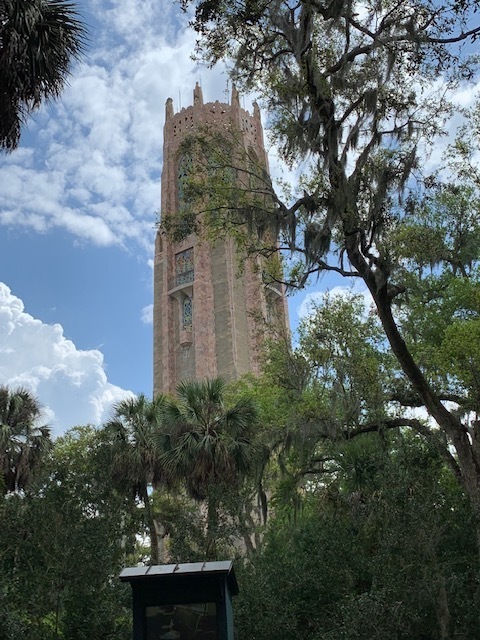 Most unusual and spectacular is the 205 foot marble and coquina Singing Tower that hosts daily carillon concerts.